A successor to the vice-chancellor of the University of Plymouth, killed when high winds blew down electricity cables on New Year's Day, has been named. Roland Levinsky, 63, was walking with his wife when the accident happened in a field near his Wembury home. Now Prof Mark Cleary has been appointed as Acting Vice-Chancellor with immediate effect. He will hold the post until May when he becomes Vice-Chancellor at the University of Bradford. Prof Cleary has worked at the university since 1994 and became Deputy Vice-Chancellor in 2004. Chair of the university governors Barbara Bond said the appointment of Prof Cleary "affords us time to initiate the formal process to appoint the next Vice-Chancellor and consider the way ahead". "I am also indebted to the current chancellery team for their unqualified expressions of support," she said. "Uppermost in our minds, however, are Professor Levinsky's wife and family. Our priority is providing them with all the practical help and support we can." 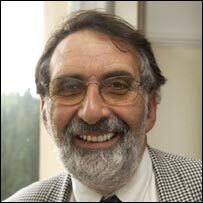 Prof Levinsky was appointed vice-chancellor in September 2002. He was also a world leader in the field of immunodeficiency diseases. The father-of-three died as a thunder and hail storm passed over the south Devon area while he walked with his wife Beth and their dog. About 1,400 households had electricity cut off as a result of the cable fall from a 30ft wooden pylon. An investigation has been launched by the Health and Safety Executive. Prof Cleary said: "As the tributes to him have demonstrated, Professor Levinsky has left a tremendous legacy for the university and the city, we will not lose our focus on the path he set for us." Last year, the University of Plymouth leapt 33 places to 40th in the Guardian newspaper's 2006 ranking of universities.